Number One is Number Eight for Dr. Frederick Weniger, M.D., F.A.C.S. Frederick G. Weniger, M.D., F.A.C.S. Dr. Weniger has been practicing medicine in the Bluffton area for quite some time now and it’s clear that his patients love him. After a month-long contest presented by Bluffton Today, his patients, along with other community members, made it evident by voting him “Best Cosmetic Surgeon” for the eighth year in a row. “I am honored to win this award from our community again. I owe a ton of thanks to all of the ladies in the office who are incredible teammates and share in our vision of setting the benchmark for quality" says Dr. Weniger. While his credentials certainly qualify him for this honor, it is Dr. Weniger’s other attributes that have earned him the votes of the community. A board certified plastic surgeon and member of the American Society of Plastic Surgeons, Dr. Weniger has become particularly well-known for listening attentively to his patients, as well as for his patience and thoughtful consideration of their needs. He is renowned for encouraging patients to take their time and return for further information before making a final decision. 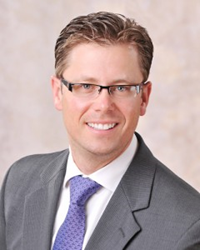 As a devoted father and dedicated member of the community, Dr. Weniger is also known by patients to be an “everyday guy”, something that helps them to feel a more personal connection with the doctor. This makes building trust and confidence easy, and patients often feel that Dr. Weniger is as excited by their great results as they are. Weniger Plastic Surgery, a state-of-the-art facility, is located in Bluffton, South Carolina. Part of the campus includes a luxurious spa, "Lux-A Medical Spa", which offers treatments of all kinds provided by a dedicated staff who are committed to making their patients their top priority. The convenient location enables Dr. Weniger to make himself available to the people of Hilton Head and the surrounding area, including Savannah, GA. This prestigious honor is not awarded by just anyone; it’s awarded by the people of the community, making it a particularly special and meaningful achievement. So the next time you see Dr. Weniger, whether it be on the street or in his office, smile and say "Hi" to truly one of the best that Bluffton has to offer.